Principals Dealing With the Stress of the Press: A reporter from a local daily newspaper is on the line … What do you do (or not do)? Ok principal, some type of ‘not good’ incident has taken place: inside of, during, around, after, or before, the school day. Your secretary has informed you that: “A reporter from a local daily newspaper is on the line!” First: stop, relax, take a deep breath, gather your thoughts, and then take control of the situation. Always remember that you are the principal of a school, and so you are under no obligation to distract yourself and turn away from your primary mission of maintaining the safety and well-being of the children and staff under your care. Tell the secretary to inform the reporter that you will call them back at the end of the school day—and make sure that you do! If the reporter claims that they: “have a deadline before they print or air the story, and we want to give the school (or you) a chance to provide their side of the story”. Ignore it, their deadline is not your deadline. And in fact, hastily engaging in a news media interview unprepared, where you are rushing to meet someone’s deadline, real or artificial, could if handled improperly be your professional ‘death-line’! Further, your ‘communication’ priority is to your parents; for while others may be invested in a ‘story’, the parents are invested in their children who are presently students in the ‘incident connected’ class or school. And so get this part right, to make sure that ‘rumors’ don’t rule the day, and/or misinformed story-lines are not conveyed to parents by the students. The quality and timeliness of the communication you provide the parents is of critical importance. You also want to provide a well thought out information/briefing statement to the staff. In other words, consider carefully what (and how much) you can and cannot say. Give the best ‘clarifying’ and calming explanation, and the best ‘official response’ you can to the staff. And based on the nature of the incident, you may be prohibited from revealing all of the facts, then and in the future. As a superintendent I have seen situations in the past go from good (pass bad) to worse, because a TV reporter has ‘surprised’ teachers with a request for a comment as they were walking from the school to their cars. Members of your staff are constitutionally free to say whatever they want to the press. But you should warn them: “Because you may be operating with wrong or incomplete information concerning the situation, or you may be unfamiliar with the legal/statutory ramifications involved; know that whatever size hole you dig for yourself by way of your comments, be prepared to dig yourself out of it without my help–For at that point, you are on your own!” #nocomment! Back to our reporter: Before calling the reporter back, contact the district superintendent, legal advisor and press liaison person; for advice and counsel. Inform them of the reporters name and number. and your plan (things done, things in progress, things to do) of action(s) in response to the situation. The press person may want to call the reporter first to ‘see where this story is going’; let them, they know how to do that (and you don’t), and they will probably know the reporter. Important: Make sure that the before-mentioned three district officers/departments are operating with all of the information, no matter how bad. You must not let the press person, attorney or the superintendent be surprised by some fact(s) you failed to reveal to them. You should know that this is not the time to ‘deodorize’ the story. The district’s press people are professionals and know what they are doing, let them, not you, work on the ‘public presentation’. (1) Depending on the ‘incident’, there could be a decision that all communication with the press will be handled by the district’s press/communication person. In that case all you need do is refer all press inquiries to that press/spokesperson; and say nothing. And no matter how tempted you are to speak beyond that 10-15 word referral statement, don’t do it! For example: “All questions relating to this matter will be addressed by the district’s_________, thank you.” (write the press office referral statement down on an index card if you don’t trust yourself!) Confirm or deny nothing, no matter how true or how false. (2) If you are the ‘point of contact’ for the press then again: stop, relax, take a deep breath, take a seat in your office after the students have been dismissed, gather the information and your thoughts on the incident on paper. Part of the documentation on the desk before you should be the info-letter you sent to the parents that day. Your comments to the press should be consistent with that letter you sent home to the parents (assume that the press will get a copy of that parent letter and compare your comments to them with the letter). Don’t provide false information. There may actually be ‘facts’ and ‘information’ of which you don’t fully have at the time of the press interview, and that’s ok. Don’t ‘make stuff up’, or try in a speculative way, to fill in yet to be discovered parts of the ‘story’. You must remember your legal restrictions in these types of matters (if you are not sure, check with the district’s legal officer/representative/department). In many situations you could be the ‘reporting (mandated) officer’, or the investigative supervisor; and so, offering an ‘opinion’ or some detail of the incident could be very dangerous. Revealing the names or other personal information about the children, parents; the details of the incident; stage and status of the investigation, the charges and/or disciplinary procedures initiated with the child(ren) or an employee, could be a violation of federal-state-local laws, district regulations, and/or labor/contractual agreements. You could also open yourself and the district to civil litigation. Remember: When dealing with a student on student incident, both the alleged perpetrators, and the alleged victims’ identities must be safeguarded from press disclosure. Show respect for the journalism craft. Like you they are professionals with a job to do; just make sure you are totally focused on what your job requires you to do. The reporter can sound friendly, but they are not your friend; they are on an information-gathering-reporting mission. Tell as much of the truth as you are legally able, don’t get ‘cute’, don’t try to ‘spin’ the story, don’t ‘free-lance’ or ‘riff’ philosophically; because the press person you are speaking to is more than likely an expert in this process; and you may be a great principal, but in this arena, you are an amateur! Every word that comes from your mouth can be used. And think about how you frame those words since a part of a paragraph can be used, without the ‘clarifying’ last sentence. No matter how ‘hurt’ or offended you might be, under no condition can you respond to a question that is a ‘lie’ or ‘insult’ from a parent or employee ( e.g. “I was removed from my teaching position because the principal does not like ‘left-handed’ people!”), by way of the news media. Your response should take place in a formal and official district or legal forum. Keep your emotions in check. Stay focused, stay on message and stick to your legally allowed ‘talking points’. Also, think about the various stakeholders who will ‘consume’ this news report: students, staff members, parents, potential future students, staff members and parents, the tax paying public, potential jurors, etc. 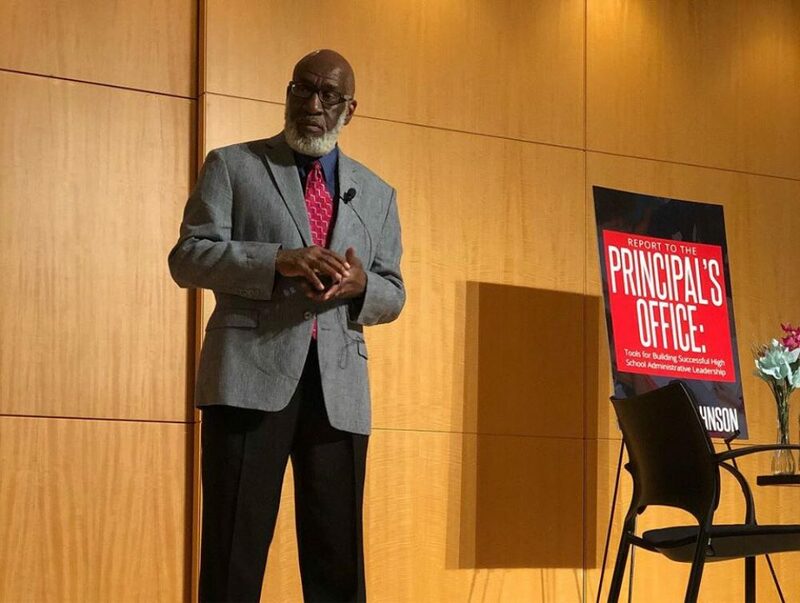 Keep this important point in mind: In all of my years as a principal and superintendent I don’t know of one principal who got themselves into serious trouble for saying ‘too little’ to the press; but unfortunately, the opposite has occurred many times! Disclaimer: This is just a basic generic ‘response to the press’ procedure; the specifics of a particular incident can alter and/or modify any or all parts of this approach. No two similar incidents, even when occurring in the same school, will have the same exact characteristics. You should check with your superintendent’s office for your district’s guidelines and procedures for responding to a news media inquiry into a ‘not so pleasant’ event related to your school.